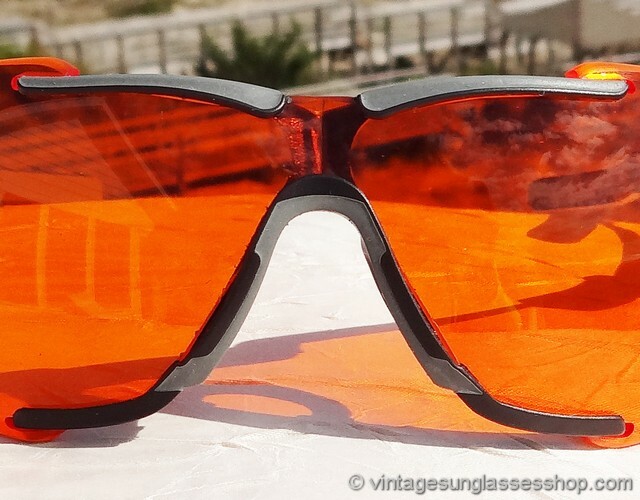 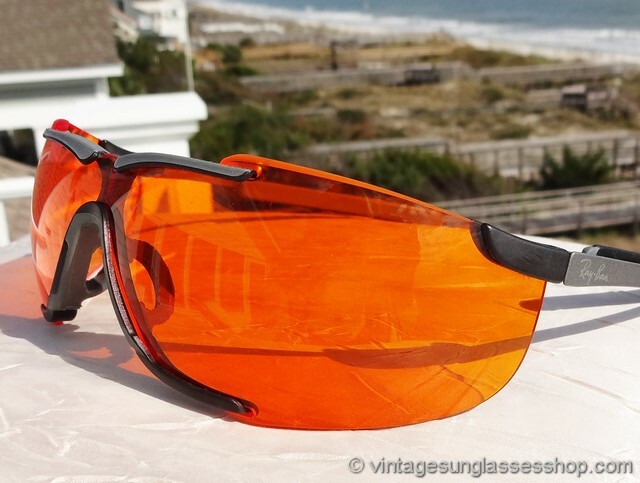 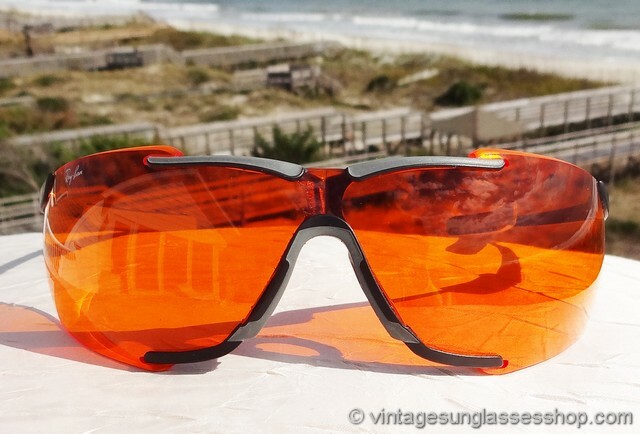 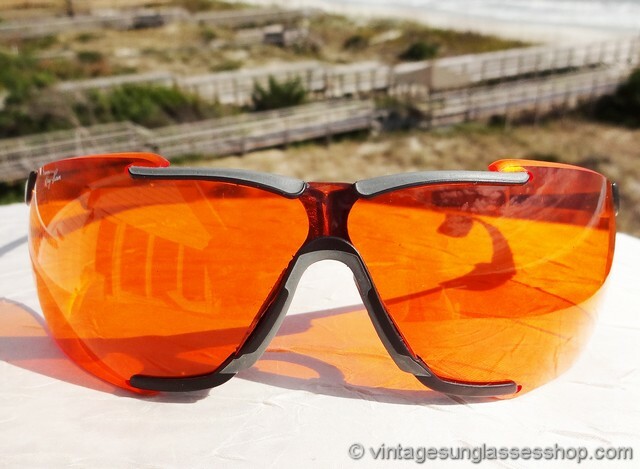 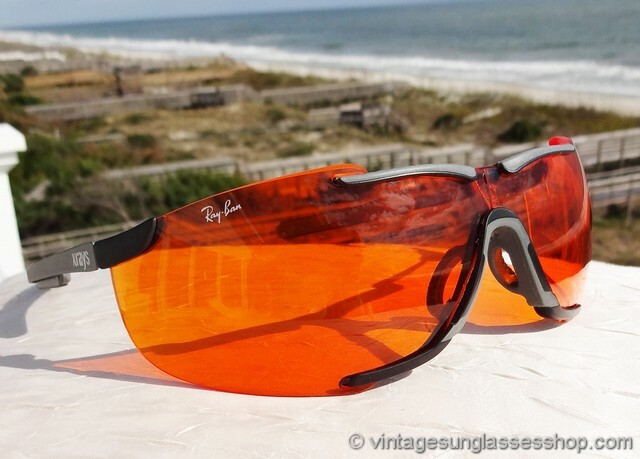 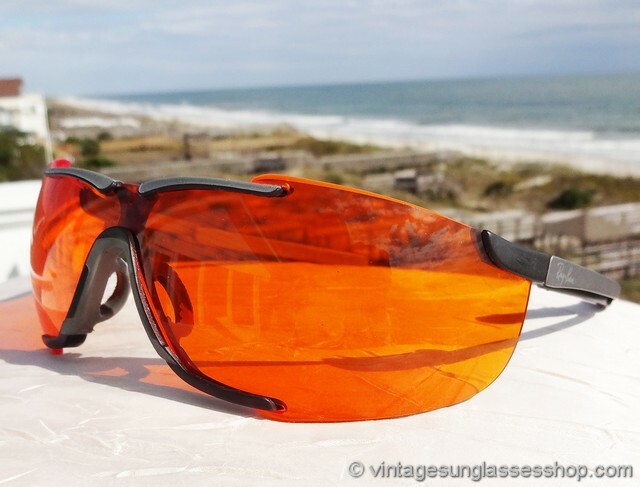 1 Vintage Ray-Ban Xrays X5 Amber Polysphere wrap sunglasses really make a design statement, a precursor of the Oakley designs and a great combination of form and function. 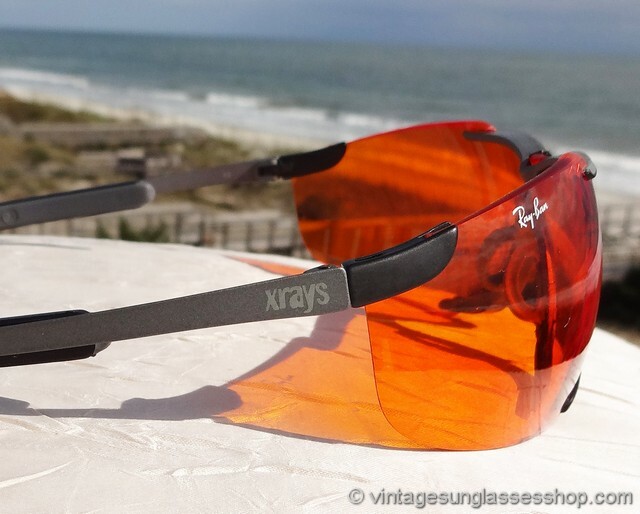 Ray-Ban Xrays were a pioneer in combining a flexible, rubberized wrap sunglasses frame - soft, light, and comfortable - with high performance Bausch & Lomb optics. 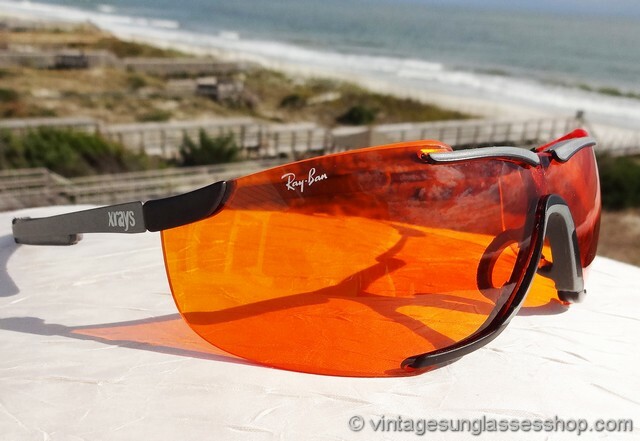 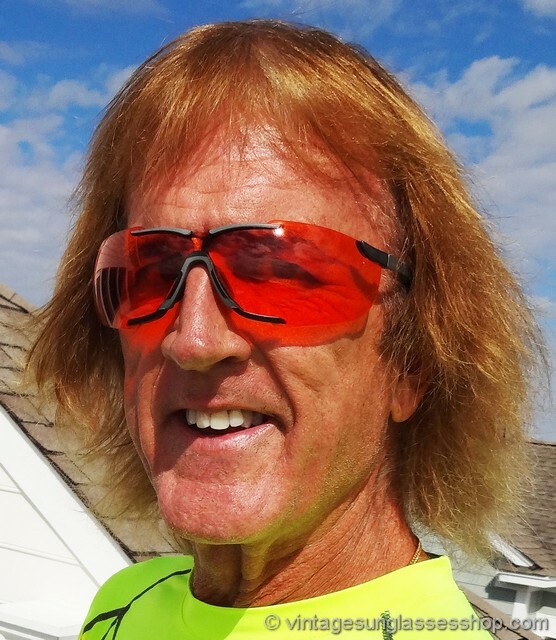 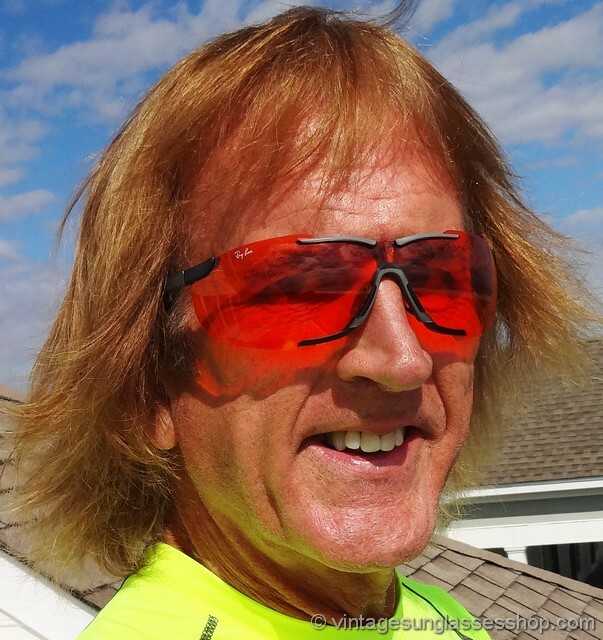 In the case of the Xrays X5, that means the B&L Amber Polysphere lens. 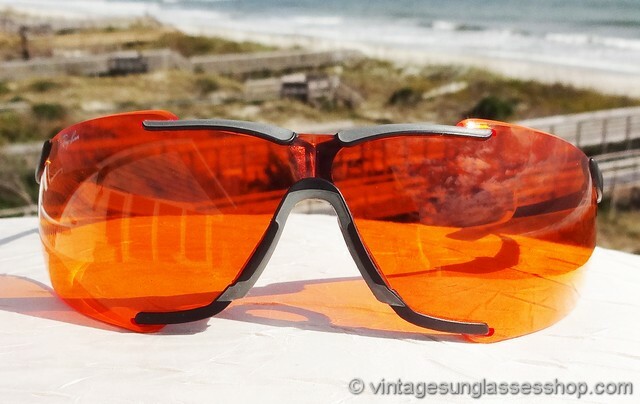 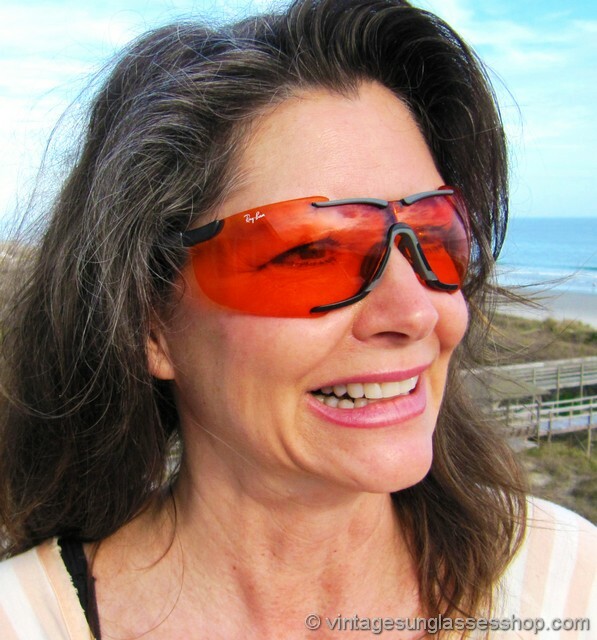 The rich orange lens color is amazing and also picks up hues of red, and the curvature and continuous one piece design of these lenses is quite striking. 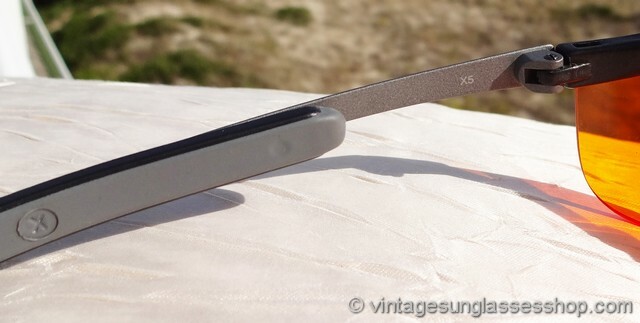 Note the hinged ear pads that swivel, adding to the comfort and fit of the X5. 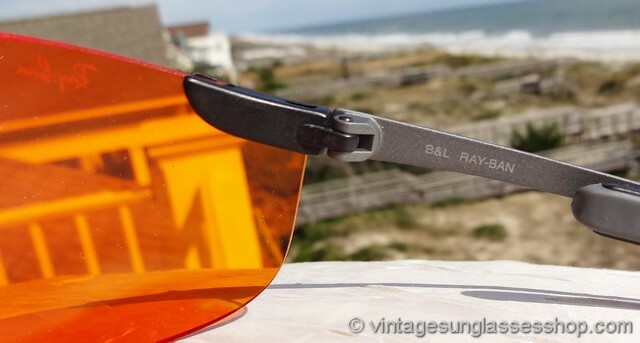 The unisex Ray-Ban Xrays X5 frame measures approximately 5.75" temple to temple with plenty of wrap, and the outside of one ear stem is marked Xrays while the other is marked Ray-Ban. 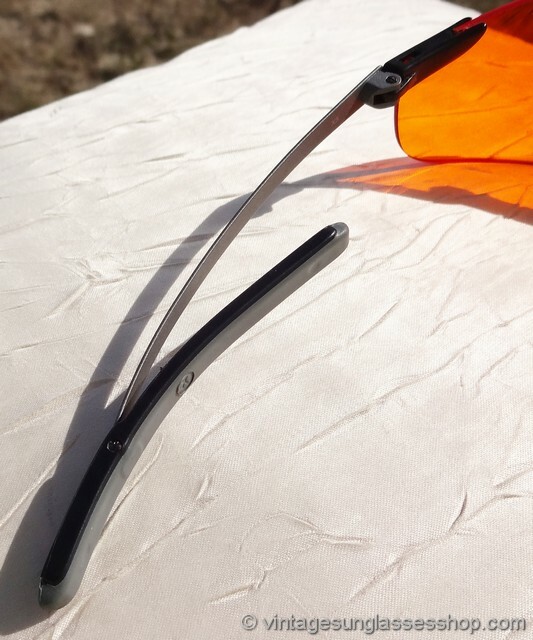 The inside of one ear stem is marked B&L Ray-Ban while the inside of the other stem is marked X5. 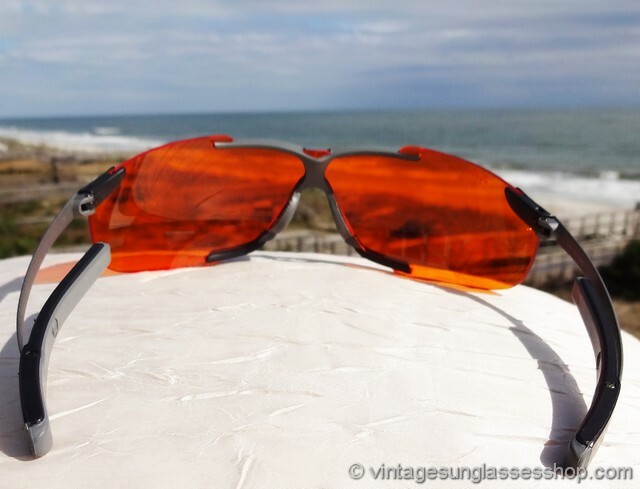 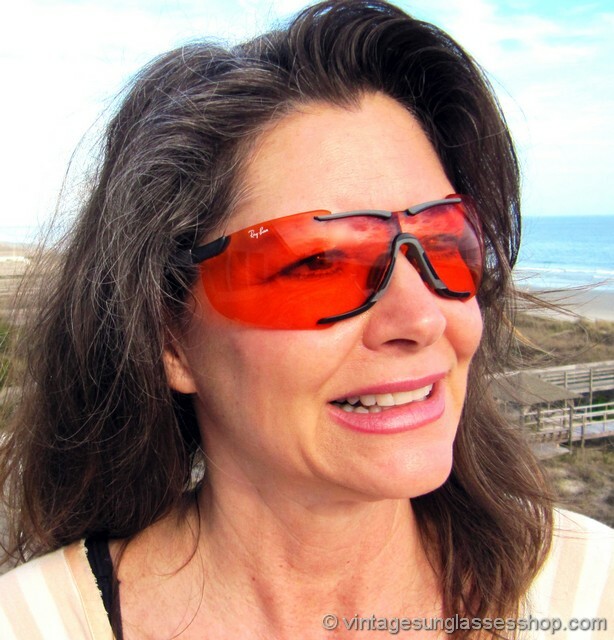 The integrated nose pad makes for a sleek, clean design, and the rubberized ear stems curve as in shooters to provide an exceptionally secure fit, part of a fine collection of rare vintage B&L Ray-Ban sunglasses in San Francisco, CA. 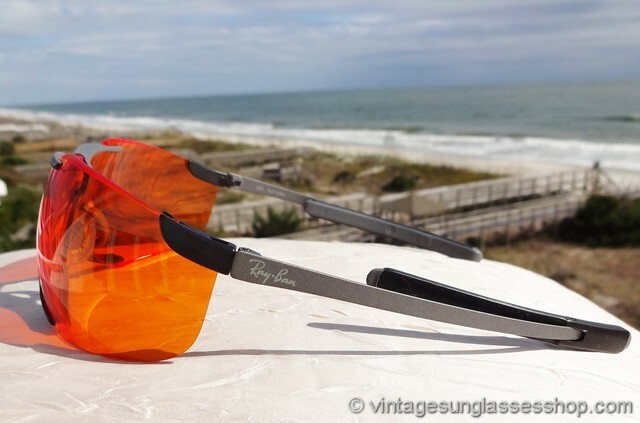 2 Step up another level beyond our already unequaled vintage condition standards with new old stock Ray-Ban X5 Amber Polysphere sunglasses in mint, unworn condition.